I have been a fan of Slaughter Arts Records' music, especially during the St.Lucia Carnival 2008 season, but it was during my first conversation with CEO, Nigel Nicholas that I was captivated, finding him to be very endearing. Nigel's recollection of his beginning days was tremendous, and reminded me of my younger days. LOL! 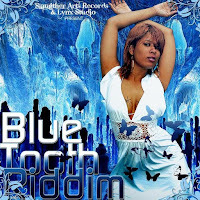 The “Soca Bluetooth Riddim” features the top breed of Caribbean Soca artistes. The perfect beats, represents the chain of Caribbean islands. With the sweet pulsating bass line and drums, mixed with the contagious sirens & percussions, makes their music impeccable. 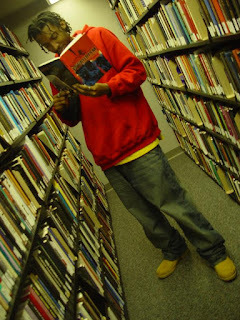 Slaughter Arts/Lynx Studios begin to be more versatile in their style of music. Nigel Nicholas, CEO of Slaughter Arts Records describes their music as “An alternative fusion of soca, hip hop, rock, rnb and dancehall. I like fusion, I like when the music can't be defined." Nigel also has a lot of collaborations with his Slaughter Arts artistes, such as "Carnival Ah Come" with Jalena & Skinny Fabulous. So how did you come up with the name Slaughter Arts? Nigel: Slaughter means TO KILL, and I wanted the name to mean we are killers in all art forms; music, film and photography. We wanna experiment, we tryin’ some techno soon. What is your role at Slaughter Arts? Nigel: Slaughter Arts is my baby! I am developing it and I run it. My aim is to let the unknown and underdog artistes have a chance to be heard. Right now, I am behind the scenes, I help other artistes. I work mostly on projects. 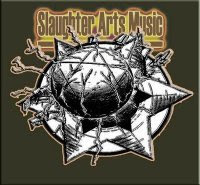 Who is in the Slaughter Arts camp? Nigel: The Slaughter Arts Record artistes and producers are Babygirl Trish, Kakle, Equal (group), Private 6, Mac 11, Stacey, Skinny, Jalena, Nigel Nicholas, Patrice Regis (makes the beats), and we use Gilbert Cooke's studio (Lynx Studio) in St.Lucia. How does Slaughter Arts choose its artistes? Nigel: I like when the artiste has their own style and not that of someone else. I love and respect originality. How do you name the riddims? Nigel: Slaughter Arts names riddims based on the vibe we feel at the time or sometimes using the name of the hottest song on the riddim. Nigel Nicholas is from La Clery, St.Lucia but attends New England Tech, in Rhode Island where he majors in Broadcasting and Film. This past Castries Comprehensive student reminisces about his secondary school days, “My boys were big Rap City fans. I always watched them freestyle, but I never got involved. Then one day, my boy at school, Jason Pierre, lent me a CD, called Penthouse. Then I discovered the artiste called Spragga Benz. I really got into his music and I started going in my mirror, and singing. Then I started writing my own lyrics, and I used to perform for my friends. One day someone asked me to sing what I wrote, so I did, and they freaked. So I kinna liked the attention so I kept doing it! When I left school in '97, then I went to buy a stereo which recorded with a mic. So yea, I invited my boy, Kirby who went to school with me - to my house cause he was the Rap City freak, so I told him I had some instrumentals, we should try recordin' our freestyles. (which he bought from Master Mixx, remember them?) So we did, so one day when I was off to work (Yes, he used to be a Sandals Chef), I gave it to a bus driver, and he played it. So yea, the driver (Bogart) started blasting it. So he asked me, "Who is dat singing?" So I said, "It's me and my boy." So he was like, "Damnnnnnnnnnnnnn, you'll fellas bad!" 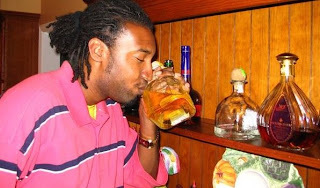 I think the following week, Irvin Loctor (Ace) and Courtney Taylor (Jamaican) were on Radio 100. They were producers from Ice Cold Production. They had a rap freestyle contest. So my boy called in, we participated in a three-way call. So my boy started rapping, and I was supposed to be the surprise artiste. No one was expecting me to come after him so when I did come in, that shook the radio listeners that night cause I had that dancehall vibe and the beat was rap. So Shawn had people to vote so we won all the 10 votes, so the prize was for us to go to their studio and do a single. We brought along 2 other guys with us, namely Marvin Joseph aka Crocadile. Marvin Joseph, Kevin Joseph, Jonathan Cherry and I formed Phive Staar Fleet. The first single was called 'Fabulous Style'. 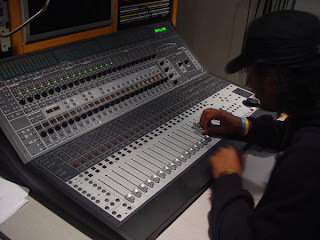 The track did real well then we did more releases which were hip hop between 1998 – 1999, but the thing is hip hop does not make money in St.Lucia. We got a lil' advice from someone, who told us we should try soca. So in 1999 we did our first soca single called 'Borda-Line'. It did really good for our first soca single, we were on the charts in the UK and Germany. We were on various soca CD compilations with all the top artistes from Trinidad. The group broke up that year, cause some of the guys didn't like the direction or the switch to soca. Kirby went solo, the following carnival season and so did I. My first solo single was called 'Stamina', produced by Rawle Alcide. It did real good. The following year, I did another track called 'Wine Like u Madd'. Barack Obama Tees - Yes We Can! Fringe Boots & A Shoe! Halloween: What Can U Be?